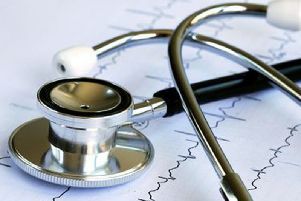 Doctors covering the Harborough area and Rutland sign 51 fit notes every day, on average, according to the latest NHS figures. GPs working in the NHS East Leicestershire and Rutland Clinical Commissioning Group area issued a total of 18,692 notes between October 2017 and September 2018. Mental health is the most significant single cause. Of the notes signed in east Leicestershire and Rutland, 2,633 or 14% were issued for mental health problems. A further 1,633 were the result of musculoskeletal conditions such as back problems. The number of fit notes signed in east Leicestershire and Rutland in that period is down on the previous 12 months, but this may be due, in part, to under-reporting in February last year caused by data-gathering issues. Doctors in the area issued 2,068 fit notes for every 100,000 people on their registers, on average, each month. The highest rate was 3,641 per 100,000 in Halton and lowest rate was 867 in Richmond.